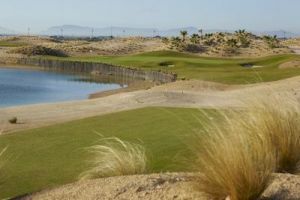 This Nicklaus Design course has 18 holes, is par 72 and is larger than average. 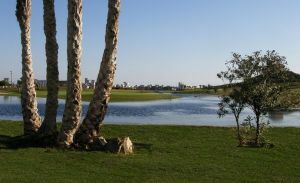 The fairways of the Hacienda Riquelme golf course run between Olive trees, wild flowers and 5 lakes. 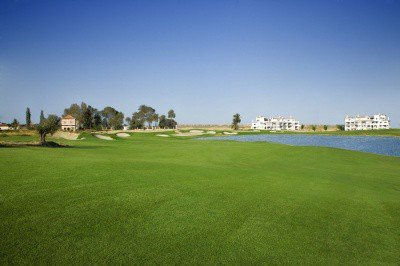 They are sown with the latest variety of Paspalum grass which has a high saline tolerance. 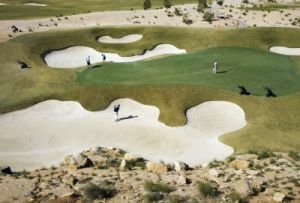 This leads the grass to stay in tip top condition with less water. 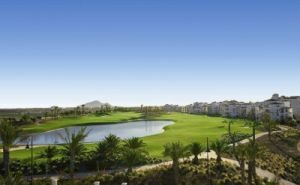 Hacienda Riquelme Golf Resort is not yet in our pool of Golf Courses for orders.